After this overwhelmingly dreary winter we have had, I am so anxious for spring. Even though the first day of spring brought with it even more of that relentless snow, I insist on thinking ahead to brighter, sunnier, milder days. With the approach of each season, I like to sit down and make a to do list of all the things I want to accomplish. (Here are my Fall and Winter To Do Lists). Do I complete everything on my list? Not usually. Yet, it does make me feel good to have a goal in mind. Plus, with a crazy toddler running around, it helps to take a look at my list when I’m frantically looking for something to entertain him. On my spring to do list, you’ll find lots of different activities for toddlers and a few activities for yourself. It’s important to keep both in mind! Get outside! After being stuck inside all winter long, it’s great to get a chance to play outside. Here are some activities to try in your own back yard. Play with sidewalk chalk. I love the sidewalk squirt painting and more ideas from Growing a Jeweled Rose. Lay back and try to find shapes in the clouds. Grab a magnifying glass and examine some bugs. Play with rocks. The Artful Parents has so many ideas to learn with and about rocks. I can’t wait to try some of these! Pick and smell some flowers. Then take your flowers and make this adorable Spring Flower Sensory Bottle from My Little 3 and Me. Play in the dirt. Let your child get a little messy with some of these fun dirt and mud activities from Growing a Jeweled Rose. Plant some seeds & help garden. Edventures with Kids shares 3o gardening activities and ideas for kids. Check out all of the local parks. Grab a bunch of those cheap, plastic eggs and have fun. There are SO many different uses. I Can Teach My Child has some great ideas. I love the sound match game. Attend an Easter Egg hunt. Hold a practice Easter Egg hunt in your yard/house. Since April Showers do bring May flowers, it’s crucial to have a few go-to rainy day activities. You can find lots of activities for rainy day fun on Babble. Head outside during a light rain and splash in some puddles. Find a rainbow and/or try some rainbow-themed crafts. Check out the 36 different rainbow activities for toddlers over at Fun at Home with Kids. Head over to the local zoo. Take a trip to a local farm. Take pictures and try to identify local birds and butterflies. Make a bird feeder or bird bath. I really like the bird feeder ideas from Happy Hooligans. Head to a local pond and check out the wildlife. Be careful about feeding wild ducks and geese though. Here are some helpful tips on feeding ducks and better alternatives to bread from Birding.About. Make some fabulous food to celebrate the new season. Closet Cooking shares 50 bright and beautiful and tasty-looking spring recipes. Sign up for a race in the spring and start training! 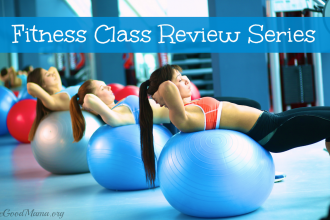 Remember your fitness goals and get into shape for the summer. While your child is having fun at the park, try out some playground fitness from LiftingRevolution. Dive into some spring cleaning. This 30-day spring cleaning challenge from PopSugar looks amazing. Volunteer to help your neighborhood. Most towns have an annual spring clean up. Paint your toenails or get a pedicure. Sandal season is almost here! While your busy painting your toes, try out some more of these relaxing DIY spa recipes from The Dating Divas. Don’t forget about your husband! Plan a spring date night. Here are some great ideas from The Dating Divas. Make a beautiful spring wreath for the front door. I love so many of these beautiful spring DIY wreaths from The DIY Village. Start gardening. Weed’em and Reap (Great name) has some helpful tips for newbies like me on how to start a garden. Head to the outlets and see if you can pull off any of the new trends this season. Sisters to Sons has a great 2-part fashion post on all the upcoming trends this season. Throw a spring dinner party. I just love all of these adorable ideas from Brit & Co. Okay, now if Mother Nature will start cooperating I can get started on all of these great spring activities. Maybe I’ll start with a pedicure first? How about you? Let me know in the comment section below what’s on your Spring To Do List. 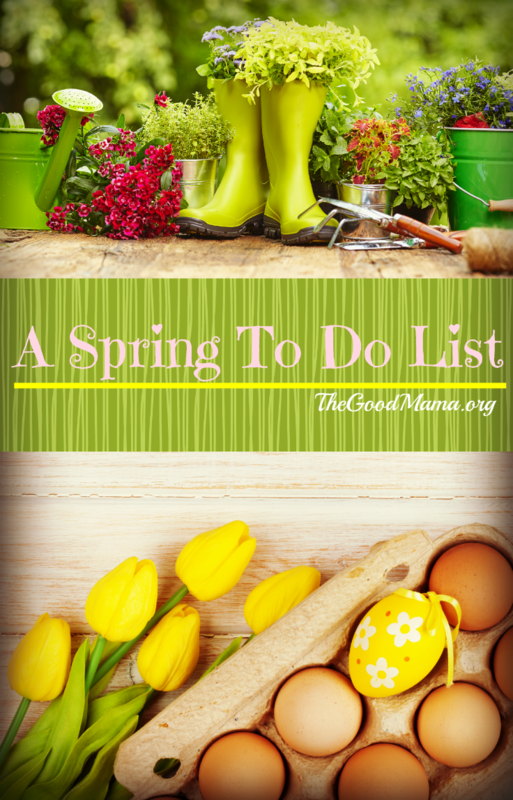 Follow Tricia The Good Mama’s board All About Spring on Pinterest. I want to make a spring wreath now!!! great list! My kids can’t wait to garden…and I can’t wait to get a pedicure, finally, ha!! I can’t wait to just get outside. I like the idea of a spring dinner party too. Your pictures are beautiful! I love your list! It doesn’t matter what it is, I find I’m more likely to do accomplish something if I write it down. We had lovely sunshine and warm temps for the two weeks leading to to spring, then it got cold on the first day of spring and it’s snowing today. Seems like Mother Natures it playing a trick on all of us. Love your to-do list!!! Especially of the things for Mom. A pedi is definitely on my list… these feet need some loving after this long winter lol. So many great ideas!! We’ve been really lucky this year so we’ve already gotten to check a few of these off. I am so excited to take the kids Easter egg hunting! And I can’t wait to dye the eggs with them too. I’m going to share this!! Ahhhh what a great list!!! It may be spring but it’s still freezing here in Ny -_- cannot wait for the weather to break and go outside!!! This is great! Thanks for sharing all your ideas! 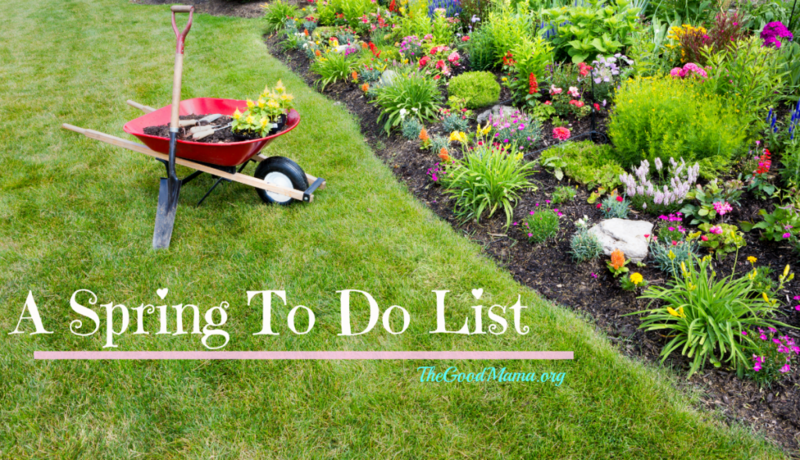 I usually make a spring cleaning to do list, but it’s no fun to always look at the list and see chore after chore. I like your idea of including fun activities, both for mom & kids, in the list. I can’t wait to start doing my garden, I really want a flower patch on the side. A big spring clean is certainly on my list too and finally sorting out the summer clothes to officially put away winter! That right there I cant wait for. This list is awesome! My husband was just talking to me about the list we needed to make for our spring summer plans. Summer is usually busy, but this year we have cut out some extra activities and hoping that there will be a little more family time before baby #3 is here. Saving this list! Lauren recently posted…My Brand New Look! Can I tell you how much I love this?? Especially that you included the list of activities for MOM? You GO girl! that’s a fun list! i pretty much just stick to decorating, treats and “spring” menus. i’m kind of boring. Tricia, I love this list! Thank you for sharing… I am realizing my spring to-do list should be more fun and not so much work. Thanks for putting that into perspective for me! Great ideas! I have some great light blue nail polish and need to put on my toes. I’ve been wanting to make a pollinator garden to attract more butterflies. I love the outlets idea! This sounds like our winter list…sorry! But soooo glad you are warming up! You really created a wonderful collection of spring activities. I am ready to take the kids outside to learn as we play in nature. I love the idea of having a list for each season, how fun! I was hoping to be in shape to run a road race this spring/summer but I have not been taking the best care of myself. I’ll be using this year to train. I’m looking forward to seeing all of the fun things you and your family do together. This is really inspirational, to clean the garden is the best thing that i can do and the sideways of garden give everything very superb look. There is also the flower decoration with the sideways in my garden make me feels good.